I have seen images and videos of Lord Kazzak causing mayhem in Stormwind, but seriously, I don’t know whether applaud these 10 players from Guild: O o t S Realm: Tichondrius or whether ask them to get a life. They trained the Devilsaur from Un’Goro all the way up to Orgrimmar going through Thousand Needles, Feralas, Desolace, Stratholme, The Barrens, up to Durotar. Now . . . that, my friends, is either a waste of long time or an out of proportions adventure. Take a look at the Screenshot of the Devilsaur entering Orgrimmar City. There is a bunch of screenshots showing the Devilsaur walk through all Kalimdor zones up to Durotar. When the world’s best Real-Time Strategy players descend on Anaheim this October, there will be more than just honor at stake. Blizzard announced that the champions of the StarCraft and Warcraft III invitational tournaments will be able to look forward to taking home a check for $10,000 to accompany their winner’s trophy. The runner-up in each tournament will be awarded a $3,000 prize. Be sure to check back soon for more information on the identities of the 16 participants that will be invited from all across the globe to compete for these cash prizes. Diablo 2: Ladder Reset Announced! With the release of the recent new Patch 1.11, a new Ladder season has arisen for Diablo 2. Players are welcome to climb to the top of the Ladder starting this Monday, August 8th. The current season will not end til the weekend is over, so get out there and clash blades with Diablo, Mephisto and Baal before it all ends! For more information on the Diablo 2 Ladder, check out our D2 FAQ. Jason Hayes has announced a new feature in his website to be launched within few days, where the Modding Community of Starcraft, Warcraft and Diablo universes may find valuable assistance. Over a thousand years ago the powerful Gurubashi Empire was torn apart by a massive civil war. An influential group of troll priests, known as the Atal?ai, called forth the avatar of an ancient and terrible blood god named Hakkar the Soulflayer. Though the priests were defeated and ultimately exiled, the great troll empire collapsed upon itself. The exiled priests fled far to the north, into the Swamp of Sorrows, where they erected a great temple to Hakkar in order to prepare for his arrival into the physical world. There is been a lot of rumors going on for last two years, concerning Blizzard North’s non-announced project, after Blizzard North executives resigned back on June 31, 2003. Blizzplanet has in the past started rumors that have turned out true, as in the case of Starcraft Going Multiplayer, two months before it was publically announced—as you may confirm at VoodooExtreme(IGN). We are going now to analyze the evidence offered through past interviews and comments from Blizzard Employees to reach a veredict. This time the hammer drops on Blizzard North’s Unannounced project. You, the Juror, will have the final deliberation. From the HollywoodReporter article we know that Blizzard North was working on two projects by 2003 and one of the games was cancelled, moving the remaining staff to the second team. And a Blizzard Employee, three days after that article, hints that Diablo 3 might have been the canned game. So we are back at square one. What is Blizzard North’s unanounced project? Whatever the game is, it is been cooking for over two years now. Just few months ago, as reported by Gamespy, Dustin Browder, game design director for EA’s Battle for Middle-earth announced his leave from EA, and his new position as a Blizzard Employee to be effective on March 14th, 2005. Browder is under direction of Rob Pardo on an unveiled game. Browder didn’t know at that point what game he would be working on. Curiosly Dustin Browder was assigned to work at Irvine, not at San Francisco-studio. Recently, Blizzard North was shut down, relocating employees to the headquarters in Irvine—where Dustin Browder is Senior Designer at. “Q: Will there be a StarCraft II? When? Having in mind EXHIBIT A through EXHIBIT F, we have somewhat a big picture of the scene. Blizzard North’s unannounced game is an RTS game and it is not Starcraft 2. Another rumor has been that Diablo would be launched as a RTS game, but EXHIBIT B basically squashes that rumor. So we have now Starcraft 2 and Diablo III removed from the case. That would leave only two possibilities: Warcraft 4 is one, but having a huge success with over 3 million paid subscribers on the popular MMORPG World of Warcraft would make a Warcraft 4 very unlikely, since Blizzard doesn’t usually create games that may affect the sales of another game. Take in consideration that World of Warcraft Expansion was confirmed recently by Shane Dabiri on his Wow Battleplan Press Release. That leaves both Irvine teams busy. In the past, Blizzard has always answered they plan to revisit the world of Starcraft for PC sometime in the future. But at the Gameinformer interview Blizzard was very precise and specific saying there is no current development of Starcraft 2 at this moment. 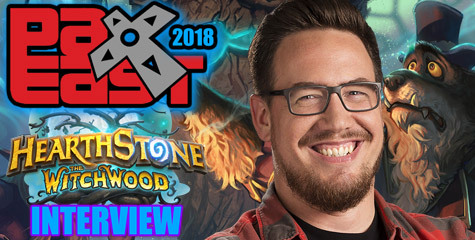 Now the question is why was Dustin Browder, an RTS developer, moved to Irvine as Senior Designer when the Warcraft 3/Starcraft Team is possibly working on the World of Warcraft Expansion. Blizzard North staff was relocated to Irvine to get all of their teams to have regular, direct input on each other’s projects. If Dustin Browder is working on a Blizzard North project from Irvine as Senior Designer, having the team relocated to Irvine makes things easier. Many fans may doubt that Blizzard North may create games other than Diablo, but in reality, Blizzard North has contributed to all other Blizzard games. 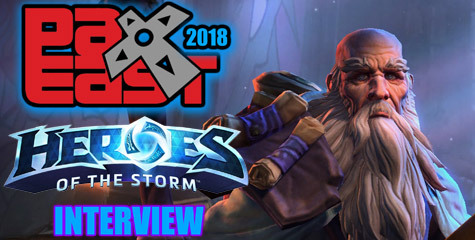 In an interview we had with Mike Huang—ex-Blizzard North employee—back on January 2004, he told us that as a Blizzard North employee they had to offer feedback to all games. Mike Huang was who gave the idea to a Starcraft programmer to make Protoss Buildings be powered by Pylons. 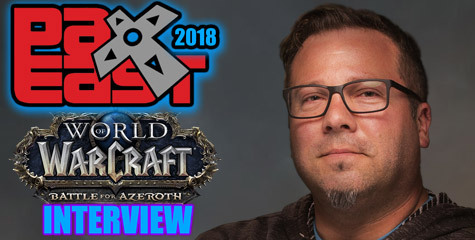 He revealed to have worked on Warcraft 3 and even on World of Warcraft, which means Blizzard North isn’t simply a Diablo only studio. If Blizzard requests them to work on “X” project, they have the capability to do it. That leaves only one possible answer for Blizzard North’s unannounced game: An RTS game based on a New creative universe not related to Starcraft, Warcraft and Diablo series. A new Franchise. A possible announcement of this mysterious game could be made at BlizzCon 2005 through October 28-29. We recommend players to read the Removal Instructions on their website to following directions on how to disable System Restore(Windows ME/XP) before running Norton Anti-Virus. Special thanks to Redrock for the buzz! IRVINE, California—Aug. 1, 2005—Blizzard Entertainment? today announced its plan to centralize its PC development teams at the studio’s Irvine headquarters. As part of this initiative to increase the efficiency and effectiveness of its teams, a majority of the staff from Blizzard’s Northern California office will have an opportunity to relocate to the company’s Irvine office, where they will continue work on an unannounced project. Blizzard does not believe that these changes will cause significant delays on any of its projects in development. The company released its subscription-based massively multi-player online role-playing game, World of Warcraft?, at the end of 2004 and is continuing work on StarCraft: Ghost(TM), its upcoming tactical-action console game set in the award-winning StarCraft? universe. Plans for future products will be revealed at a later date. Caydiem—World of Warcraft Community Manager—wrote a long PR response to a player who requested an explanation concerning lack of World Events like the one provided at the end of Public Beta. Apparently those days will make many long nostalgia. Read Caydiem’s note below . . . Bonus: We collected nearly 140 screenshots of the Beta Finale event, check out the 3 galleries. Diablo 2 Patch 1.11 is now LIVE! The Lords of Terror, Hatred, and Destruction lurk once more in the bowels of the world, their vile blood galvanized with the thirst for revenge against the Heroes who have thwarted their dark reign. Can the stalwart Paladins, lightning-quick Assassins, and ferocious Barbarians rise to this new challenge? The call has been made, so come join the adventure once again! Click here for more details on Diablo 2 Patch 1.11. Click here to check out the Patch 1.11 Wallpaper. JudgeHype: Some Professions and Classes are facing inventory storage issues. E.g. the Warlock class (due to Soulshards) or some gathering professions (such as Herbalists). Is it conceivable to provide special bags, which may be created by players, in order to bring a solution to this issue ? Similarly, would it possible to create some kind of keys holder, which would be useful to store together all the required instances keys. Blizzard: We are working on specialized bags that can only hold, for example, quest items, soul shards, keys, and profession-based materials. We haven?t decided exactly which kind of bag will be available, but our first goal is to have soul shard bags and key rings. The Alliance/Horde characters proportion is apparently quite messy on some servers. This mainly poses a real issue on the PvP servers, due to the queuing linked to Battlegrounds, which is often pretty long at the Alliance side, while at the Horde side they have to play in inferior number. Even if the players understand pretty well that a perfect balance can’t be achieved, could you give us an example for measure that could be applied in order to bring a solution to this on some Realms ? We are working at a number of different initiatives. It?s a complex problem, so unfortunately, we don?t have more detailed specifics at this time. Curious about the changes to Hunter talents in the upcoming content patch? Wonder no longer! In this interactive preview of the changes, you can view the progression, read up on the new abilities and enhancements within the various trees, and experiment with new builds! The preview team has implemented new web feature: the talent calculator! In the coming days, all classes will be available, allowing players to plan out their progression and save it. Stay tuned! Diablo patch 1.11 in the Horizon! We were informed of a new VGTour ladder—Vile Gaming Tour—on Battle.net, organized by IA-NewB. The VGTour ladder is based mostly on US West realm and is entering its 4th season. Vile Gaming Tour founder, Spartan, was recently interviewed on GosuGamers.net. The VGTour is trying to provide a solid ladder on West for all the skilled west players to compete on and determine who is really the best. The event has two ladder sections, one for high money and one for low money maps, so that ALL gamers on bnet can participate. Read the interview for more in-depth details. for the GC Game Music Symphony Concert? about it soon. I think it’s really going to be incredible! Blizzard is inviting the StarCraft map-making community to design and create the maps that will be used during the invitational tournament that will take place at BlizzCon. The contest details, rules, and submission process can be found here on the contest page. Blizzplanet and XFire bring you WoW: Rise of the Living Dead Part 2 Movie—created by Dogs of Warcraft guild and Sleeping Dog Productions. The acclaimed World of Warcraft in-game movie was applauded by Caydiem, Community Manager. Check it out on our Wow Movies section. Feel free to submit your movies to us. Tickets to BlizzCon, Blizzard’s inaugural player convention, are now on sale. If you are interested in attending, you can buy tickets here. If you’d like more information about BlizzCon and what awaits you at the show, please be sure to visit the BlizzCon Web site. GFraizer added a new Download of the classic Intro music soundtrack from Warcraft II. This will bring pleasant old memories indeed. Blizzard Survey: To Go DS/PSP or not? Blizzard Console (Starcraft: Ghost) is looking for a talented programmer with experience in audio programming for game consoles. The ideal candidate has shipped multiple console titles as an audio programmer. * Experience coding multi-channel audio for game consoles. * 3 years game programming experience. * 2 years audio programming experience. * Next generation console experience. This is a full-time position in Irvine, CA.